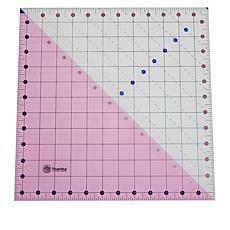 Diamond Cut Slotted Ruler - 9" x 9"
No matter what type of craft projects you like to create, you know you can't simply guess on a measurement if you want it to come out precise. 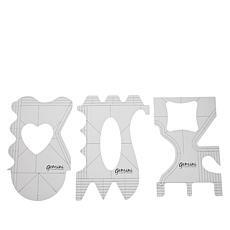 Instead, you will need to use a ruler to get that exact measurement that helps make your project look amazing. 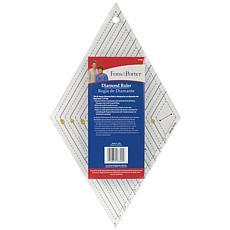 Luckily, you can find a variety of rulers to meet the needs of all your projects. 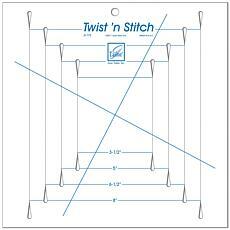 If you're working with a sewing pattern to create anything from a large quilt to a purse, you can use a sewing ruler to get the measurements you need to make sure your project is perfect. 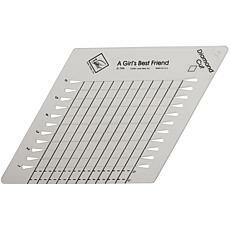 If you need an exact cut on a piece of paper you're using for a card or scrapbook project, a lip edge ruler is designed to rest perfectly against the edge of a cutting mat. 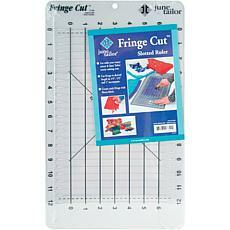 This helps you get a clean and precise line when you're using a razor to slice through the paper. 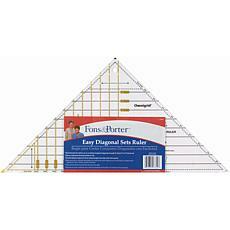 Additionally, you can find triangle rulers to easily make triangle shapes within squares and rectangles. 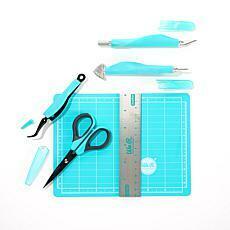 No matter what type of ruler you need, you can find it when you shop the excellent selection available at HSN.